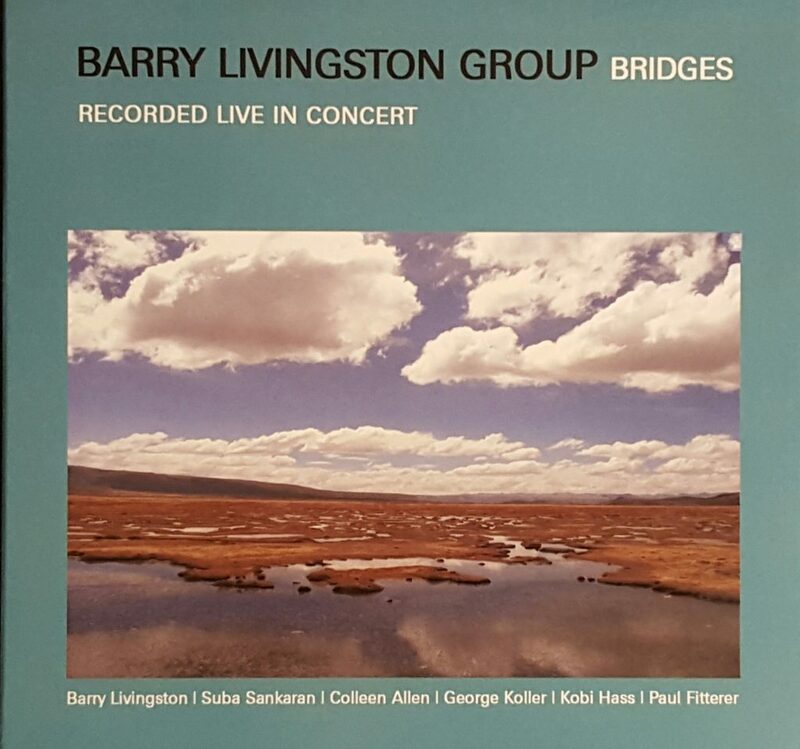 In June, I had the pleasure of hearing the Barry Livingston Group perform music from its first release, Bridges, at a house concert. It was a beautiful evening of inspired music and music-making. The CD, recorded live at Toronto’s magical Musideum (alas, recently closed) does the music – all Livingston’s – justice. Livingston is an exceptionally gifted (yet modest) pianist and composer. A University of Toronto graduate who spent many productive years on the west coast before returning to Ontario, Livingston deftly traverses musical borders, incorporating the diverse influences of mainstream jazz, South Indian and Asian music, Latin jazz and bossa nova into his writing. Fittingly, the Toronto-based group comprises some of the most in-demand musicians from the jazz and world music scenes. Standouts for me include Suba Sankaran’s languid vocals on the Muhal Richard Abrams-inspired Dreaming Eloquence, and her sublime, South Indian-style intro to Peace – Part 1. The group shines on the Metheny-esque Windcatcher – inspired, in fact, by Metheny’s close associate, keyboardist Lyle Mays. Sankaran’s voice is luminous, Colleen Allen’s sax playing is gorgeous and expansive, and Livingston achieves the open sound and wider tonal palette he was aiming for, according to his liner notes. Bassist Kobi Hass and drummer Paul Fitterer round out the sound with their superb, understated and tasteful playing. Sheila’s Bounce, dedicated to jazz great Sheila Jordan, really swings. Sankaran does some mean scatting and Allen is right on and right there with her. Straight ahead good fun. A stellar first release!